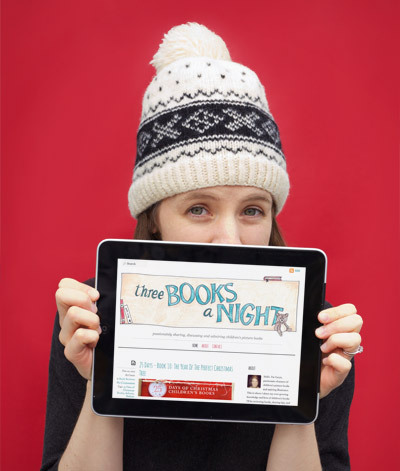 As we head into the new year, if you've been missing my voice here; you can find me over at Three Books a Night. That's right, my new blog is up! This is the place for all things children's book related. I finally have an outlet for my obsessive passion about children's picture books and you can bet I won't run out of content anytime soon. I'll be back here eventually with more illustration and design inspiration and work once I feel settled in a bit more. Hope to see you there! So things never seem to turn out like we expect. What is that saying "the best laid plans…?" Nevertheless, after receiving a few comments and questions regarding the goals in my last post (from November) I realized I needed to make an update. Things are still in the works, just at a slower pace. And the above illustration is why. 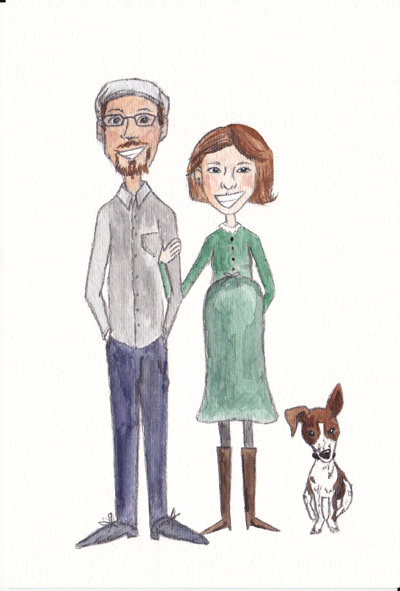 I'm still working on my illustration style, the above illustration being a great example of what I'm trying out, but as today is my "best guess date" for our first child's arrival – things illustration/blog/and business-wise have been on hold. I knew I was pregnant when I made that post in November, but I was coming off the first trimester crud and was a lot more ambitious about where I could have things before little one made the debut. As for the illustration, (which I promised every post would have from now on so at least I'm keeping that goal! ), I created that back in January and intended to make a New Year's card out of it, and then a Valentine's Day card, and then we gave up. It just never came together. But I still love it. It will get used somewhere. It's really the first time I've ever done an illustration that really felt like my style. It makes me excited to look at and think about what I can do next. I have filled out a few more pages of my sketchbook as well, but nothing as finished as this and so I'm waiting til I can focus a little more heartily on it. Now, with the little one coming any day, I'm not making any promises. But, I will be back, and I guarantee that this blog is not going to become baby-zone and neither will I. That's not me and it doesn't fit the passionate goals I have created for myself and this space either. 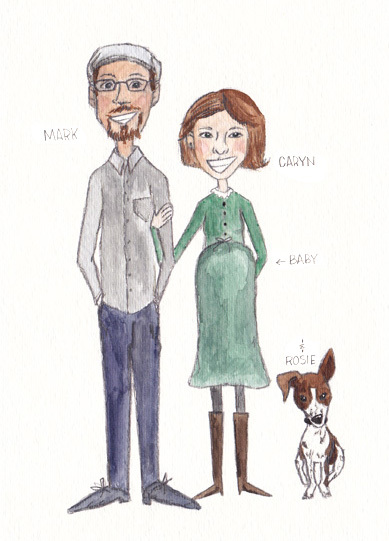 I'm sure there will be an illustration here and there of the little one, which I'm super excited about illustrating, but I still have ideas swirling that need to get out as well. So stay tuned. It's still coming. It's just one of those extra-long, it will be worth it when it does come kind of things.